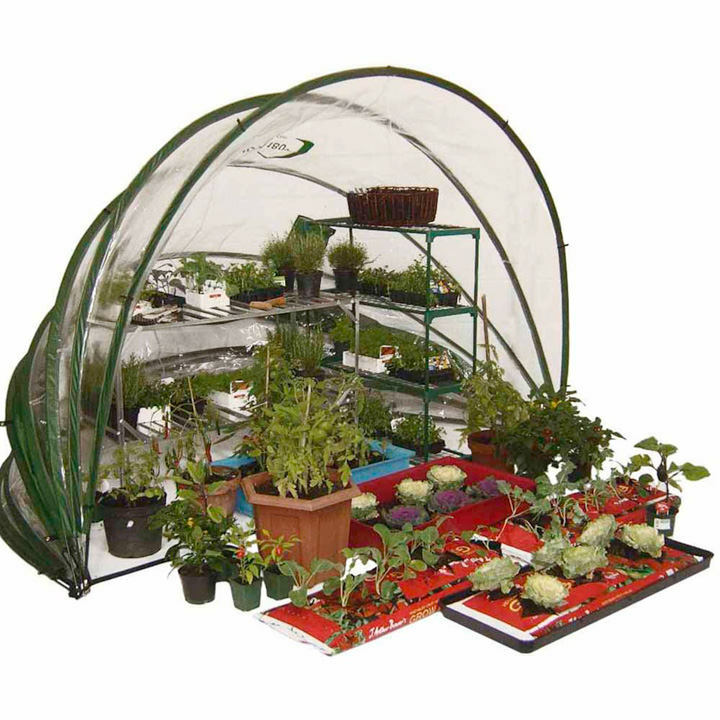 If you ever fancied starting your own 'Eden Project' .... you can now with the Horti Hood 180°! 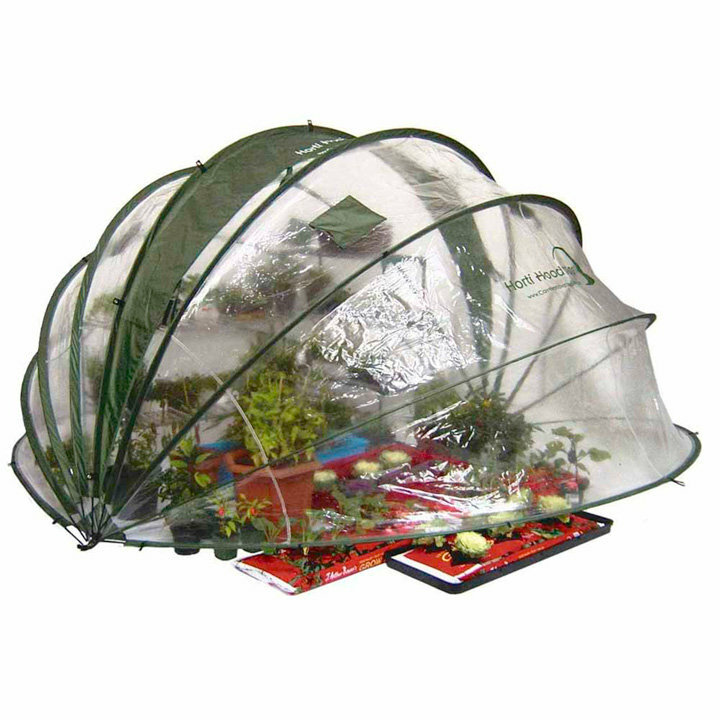 The huge Horti Hood 180° is approximately 334cm x 250cm x 167cm high. It's made from high quality UV stabilised PVC and the frame consists of light, strong, flexible fibreglass poles. 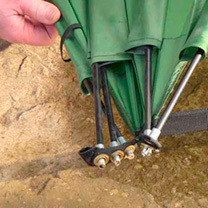 As with the Horti Hood 90° this is a product you can use all year round, or fold it up and put it away. The generous dimensions of the Horti Hood 180° allow it to be used over raised beds, on your allotment and in your garden as a greenhouse. 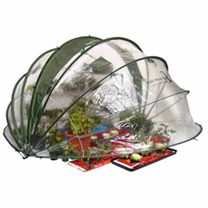 You will be impressed by the quantity and variety of plants that will fit into this futuristic looking dome design. Tall plants/climbers can be grown in the centre with smaller plants in front. You can even put greenhouse staging in to germinate more of your seedlings and bring on smaller plants. The easy lift up/drop down access from both sides means you can reach even the tallest and furthest plants. When you don't need access you can peg it down using the elasticated loops and eyelets around the bottom. It's even got four mesh covered air vents built in. Construction is simple and, with two people, shouldn't take more than a few minutes. Simply feed the nine fibreglass poles through the fabric sleeves, insert the ends into the brass eyelets, fix it down and you're ready to go. Access is quick and easy, you just lift it up at the front or back (or both) and you can get to everything. Need to hold it open, no problem. You can use the simple hood system (also great for regulating ventilation) or the loops and toggles. 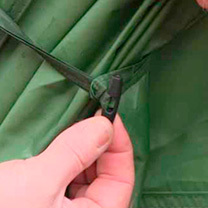 If you intend to leave your Horti Hood open for a while the integral rain awnings at the top pull over the framework. 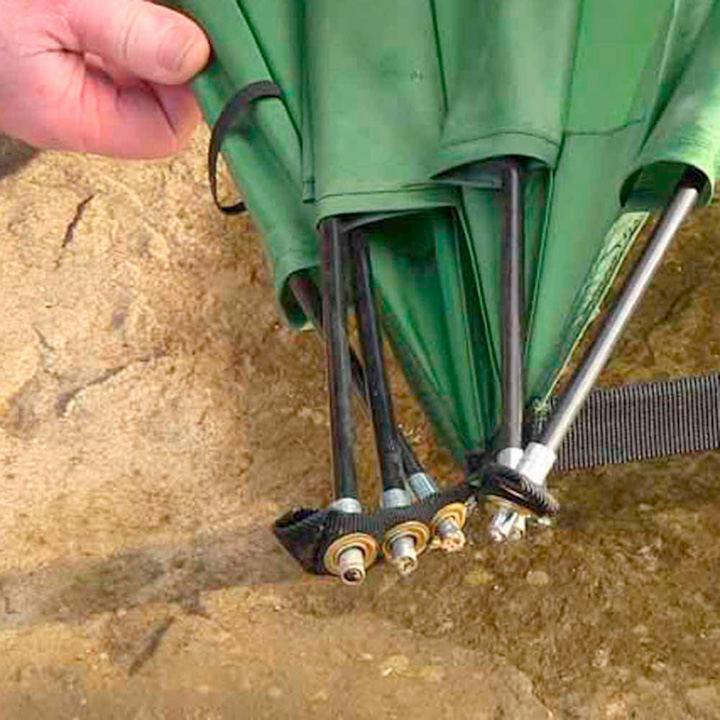 They hold them in place, while stopping the rain from gathering in the folds and saving you a drenching if you close it after a shower. Create your own 'Eden Project'! A large, quick and simple to erect greenhous that won't break the bank ... and the kids can't break the glass!